A quick look at what our team is looking forward to at the 2018 Adobe Summit. 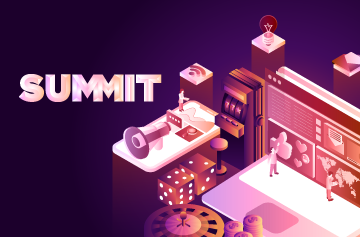 It’s almost time to board our flights for Vegas…but before we do, here’s a quick look at what our team is most looking forward to at Adobe Summit next week. As a Gold Sponsor, this event is one of our most highly anticipated of the year and we’re always eager to see how Adobe and other companies are stepping up the game. I’m looking forward to seeing what’s next for the Adobe Experience Manager product. There’s so much happening right now in that space, from driving single page applications to moving to headless structures (and still some legacy conversions). As marketing applications continue to progress, that means staying on top of shifts in front end technologies as well as ensuring that content authors are still enabled to do their jobs. With all of these moving pieces, AEM is at the center of it. As I look at my schedule for next week, I’m most excited for the sessions that focus on the innovations we can expect to see in Adobe Experience Manager 6.4, the potential for integrations with IoT products, and ideas for how to use AEM to power single page applications or as a headless CMS. On top of that, it’s just great to be among groups of technologists who are equally excited to share, learn, and discuss how our industry is evolving to suit the experience needs of web and app users. Every year I look forward to attending the Adobe Summit. I use it as an opportunity to, not only learn about the newest offerings Adobe shares, but I love connecting with old colleagues and friends from past lives. We’ve all gone down similar paths and it’s great to see their successes. It’s really interesting too to understand how they view the latest technology trends and how they’re incorporating the (Adobe) toolsets into their company’s frameworks. A game or two of blackjack always helps too! I have just been through four Nor-Easters over the last month in Boston, so who wouldn’t be pumped to escape to Vegas and Summit! No seriously, this is a critical event for the Adobe / Isobar relationship. Both companies are committed to innovating through experiences and that is a key reason why our partnership is so strong. We team up to drive incredible solutions and outcomes for our mutual clients. 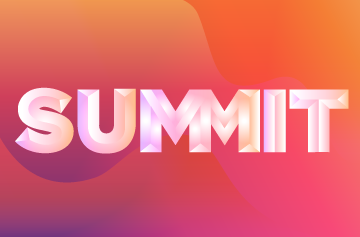 The Summit is a pivotal event where we can reconnect with the Adobe leadership team, partner team and select client teams. It also allows us a chance to meet new prospects, build new relationships, share some of our great work, plus learn additional details around Adobe’s strategy and game plan as we move into the heart of FY 2018. Because Isobar is a network of digital companies and capabilities within the Dentsu Aegis Network, I am looking forward to compounding our networking effects with Adobe’s businesses and people. From there, we’ll be able to push past what others define as the cutting edge of Digital by redefining commerce and experience at the intersection of Media and Customer Engagement. Isobar and Adobe have done this successfully in the past and I am eager to create new ground at Summit while engaging new clients in the process. Finally, I am personally excited to find the specific points of alignment between Adobe’s, Isobar’s and Dentsu Aegis Network’s business objectives in order to define specific opportunities where we can activate on expansion opportunities over the coming year. The Adobe Summit is always an interesting week between sessions, events and browsing the showroom floor. I’m always excited to hear about the latest Adobe product updates and what they have in store for the future. Last year the buzz was all about Adobe Launch and Adobe Experience Cloud, the latter showing a shift in how Adobe wants us all to think about their products. It’s not about Marketing anymore, it’s about the Experience. This year I expect to hear more of the same as we try to make technology more human and improve digital experiences for brands. On a completely different note, I’m also looking forward to hitting up the other booths to see who has the best swag! 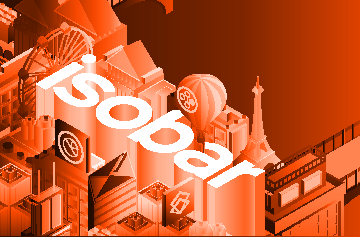 At Isobar, we have always focused on design and building amazing experiences for our clients and their constituents. This year, Adobe has focused the theme of the Summit around the Experience Maker and how companies can transform into an experience led business. I am excited to see how the Summit delivers on that promise and continues to provide tools and innovation to that end. At Isobar, experience led is part of our DNA and having Adobe adopt the theme for their solutions and their Summit is a perfect match! And of course, looking forward to seeing the amazing Leslie Jones host a great Sneaks session! I’m very excited about the focus of this year’s Adobe Summit being “Make Experience Your Business.” Many of the largest companies out there are still trying to define what that means to them. Adobe’s characterization of an Experience Maker and the attributes of an Experience Maker All Star are going to be fascinating keynotes…especially with Sir Richard Branson and JJ Watt. I work every day with my clients to continually evolve the types of experiences they are creating for their customers and I hope this year’s Summit will give me some great new perspectives to take in. 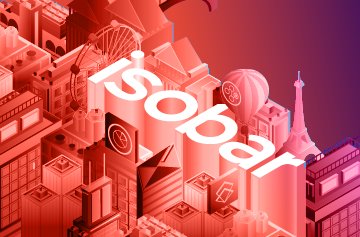 Isobar and Adobe are committed to helping businesses have the best digital experience for our customers. I’m most excited to learn of any advances in Marketing Technology, Content Management and AI innovation. 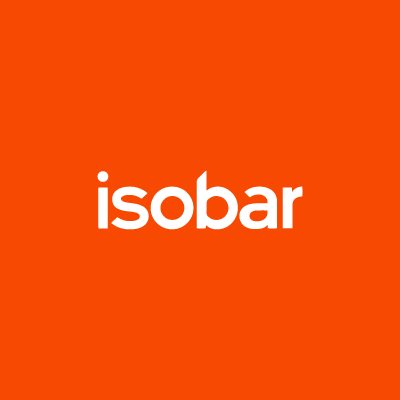 I also look forward to meeting those attendees, not familiar with Isobar and explain why Gartner considers Isobar the best digital marketing technology company. And, with that, we’re off. Be sure to stop by booth #717 or check out our session on Thursday March 29th to hear more about how we leverage Adobe solutions to digitally transform our clients’ businesses. See you in Vegas! Adobe sessions gave us many reasons to be excited.